Put your business on a solid foundation. 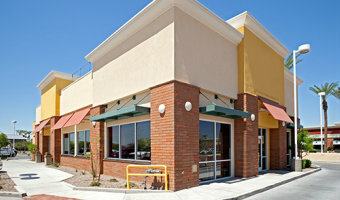 Commercial real estate loans help you get the cash you need to purchase or build the workplace you've always wanted. Competitive fixed or floating interest rates. Repayment terms are customized, but generally extend to 20 years for full repayment of the loan. Construction loans convert to permanent mortgages. Available for owner-occupied and investment properties. Quick, local decision making and processing. Detailed, attentive service from start to finish.